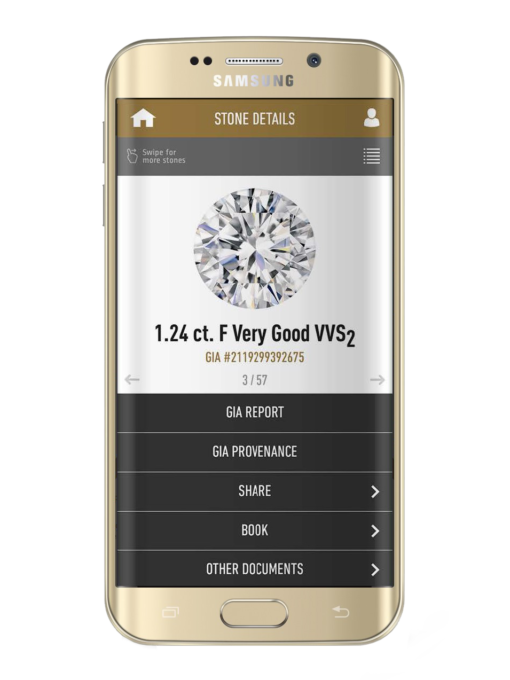 Smart card that instantly gives customers access to the GIA`s diamond grading report and certificate by holding the card near their smartphone. 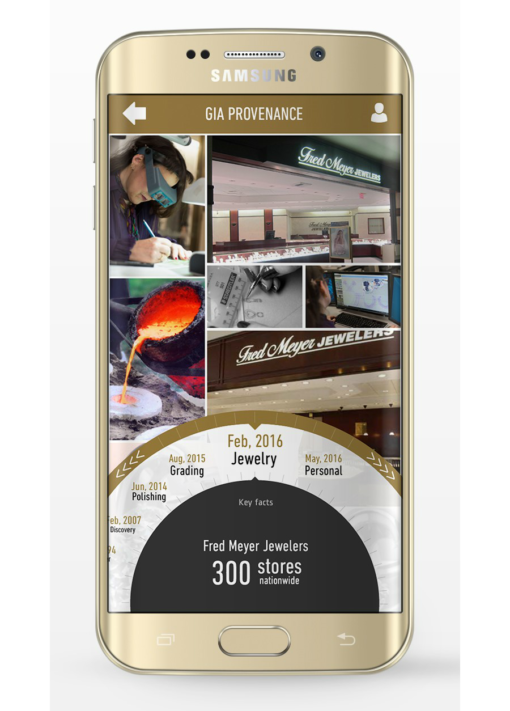 Phone app that allows customers to view and share video of the actual rough stone from which the polished diamond was derived, and to personalize, view and share images/text/3-D models. 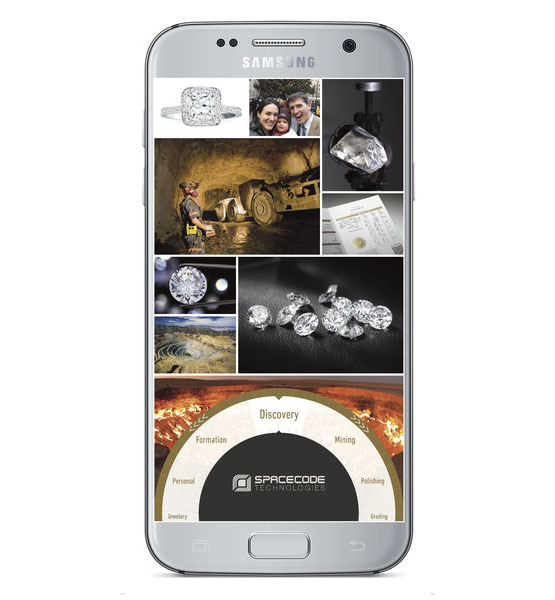 The app includes a blank personal section for the couple who ultimately buys the diamond so that they can upload the rest of the story of their diamond’s journey. An expandable platform divided into seven sections: Formation, Discovery, Mining, Polishing, Grading, Jewelry and Personal. Digital text that tells the story behind each diamond – where it was discovered, how it was cut and polished, who designed the jewelry, etc. Optional hardcover book that includes reformatted information from the app including the story of the diamond together with any personal information the customer would like to include.